How frequently do you train with your duty weapon? The industry firearms training frequency and requirement are not nearly as rigorous as it should be. This is why we have developed this program PD - Industry Shoot for law enforcement officers and armed security personnel. Training and development require time and money, the two rarest things in many armed professionals lives, these is why we have developed this program as part of our commitment to improving officer safety, public safety and help raise the industry standards. Law enforcement officers are required to qualify at an approved course of fire assessment only once a year, shooting only 24 rounds for the entire qualification to maintain their ability to carry a firearm. We all know that this is nowhere as close as good enough as it should be for an officer to operate with high level of proficiency and safety armed in public. Professional development in firearms training has its undeniable massive benefits. If you are ever in a life threatening defensive situation, can you prove it has been less than 6 months since you’ve used your firearm and shot last? Can you prove your proficiency and accuracy was at an acceptable level where it should be? 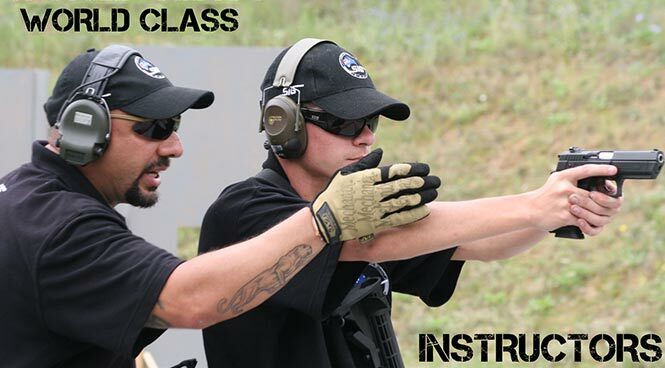 Investing in your own professional development and undertaking training courses as an armed professional is an excellent way to prove that you are proficient with sound skills and knowledge to operate effectively in your industry and capable of making the right tactical decisions in critical situations. How often should you train? As often as you possibly can, you can never have enough training. Shooting on a regular basis helps keep your firearms training frequency at an acceptable level. If your proficiency and accuracy is questionable, shooting only once or twice a year, how can you protect yourself and save others in a life threatening situation? How can you provide evidence in any case to prove that you are well trained at high level? WHAT’S INCLUDED IN THE $100? Minimum 100 rounds of ammunition are required for the training. 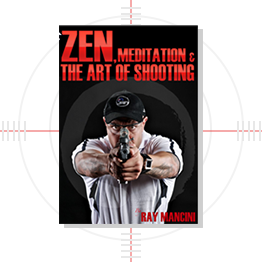 Ammunition is available for purchase from RAY MANCINI ACADEMY for the courses only at $45 per hundred rounds. You are required to wear tactical pants or good comfortable pants with belt loops; you must bring a strong belt suitable for wearing holsters and mag pouches. Closed shoes or boots (footwear must be suitable for rapid movement and turning). Sunscreen, insect repellent, hydration system or water and baseball type cap. It is highly recommended that you bring all of the above to the course; instructors have the right to refuse students from attending the training if they turn up unprepared or not wearing appropriate clothing. RAY MANCINI ACADEMY will provide students with firearms, holsters, PPE and ammunition. If you have a specific duty gear such as holsters and belts that you wear on duty feel free to bring it along providing it suits RAY MANCINI SAUER P250, Glock 17 and 22 models. Please note: If you’re a licensed security agent or law enforcement officer who has a permit for your own firearms you must contact us before you can bring your own firearms and/or ammunition to the course for approval. This program runs ONLY once a month on first in basis - Numbers are limited and places fill up fast due to high demand, we will endeavor to run 2 programs per month in the future and will keep you posted.